Video on demand platforms have been something of a mixed blessing for smaller independent filmmakers. Breaking the old gate-keeping structure set in place by broadcast and premium cable giants, services like Netflix, Shudder, and Troma Now have created an avenue for recognition for many smaller films that would otherwise struggle to be seen. Success stories like Damien Leone's Terrifier, or the Ashlee Blackwell Danielle Burrows written Horror Noire documentary, and the career launchpad horror comedy B.C. Butcher which put seventeen-year-old Kansas Bowling on the map, are the kind to warm my gooey horror heart. But not every digital delivery service has been kind either. Amazon Prime specifically, has been notorious for inexplicably dogging and/or removing any kind of horror film they deem unfit for their service—leaving filmmakers scratching their heads and gnashing their teeth. And it's not just removal either. Ask Director Scott Schirmer (Found, Plankface) what he thinks of the new payout structure that drops earnings from 15 cents an hour to 6 cents; as if making pennies on this thing wasn't low enough. Thankfully, there are those in a position to do something about it. Heidi Moore (director and writer of Dolly Deadly) is building a new digital video delivery platform called 'TruIndie', laser focused on spotlighting and providing independent filmmakers with the opportunity to express themselves creatively without fear of being censored, or locked into an unfair compensation structure. It's the right start—at least on paper—to creating a place on the internet that independent artists can truly call home for their creative endeavors (Director Cassandra Sechler and distribution label Artsploitation Films are already on board). And hopefully with it's launch (happening in the next couple weeks), we'll have more stories like those found with Netflix, Shudder, and Troma Now, and less like Amazon's. 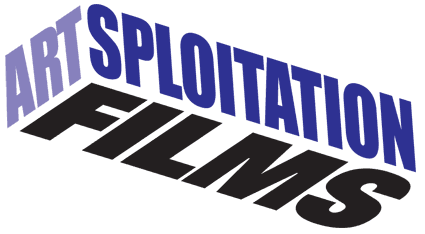 One of the early partners of Truindie, Artsploitation are notorious for their unique and eclectic taste in genre films. TruIndie is dedicated to supporting filmmakers, and helping audiences discover and appreciate truly independent cinema. 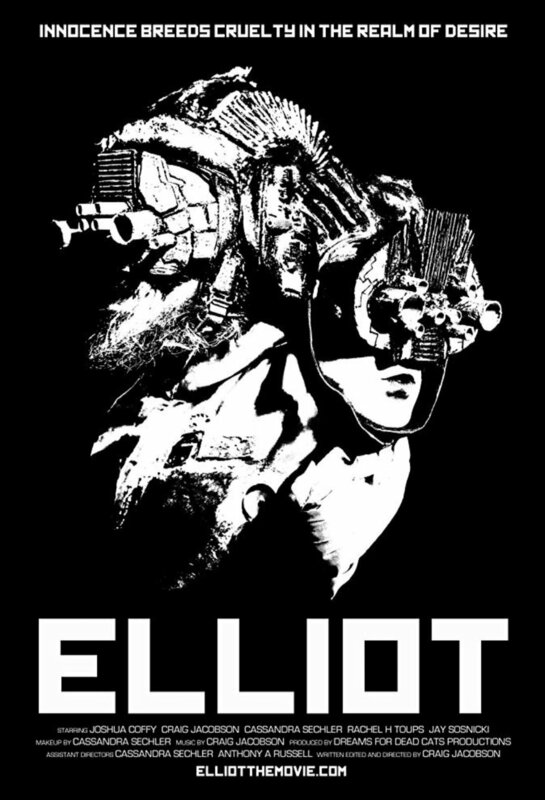 Cassandra Sechler's 'ELLIOT' is a thought provoking psychedelic examination of the 9-to-5 and extraction of happiness from the things we most take for granted in life. Created by filmmakers for filmmakers, we seek to develop mutually beneficial relationships while not exploiting dreams.We are overjoyed to be the newest home for independent films of all genres, and believe art has no rules; Quality is not determined by budget and/or technical perfection. There are so many artists out there breaking the rules of cinema who don’t conform to the mainstream, and they are who make our world go round! You are cordially invited to submit your films to play on our VOD platform alongside other films created by truly independent artists. We are currently accepting feature films, short films, documentaries, episodic shows, music videos, and we are open to other forms as well. Thank you for doing what you do; we are very much looking forward to sharing your creations with the universe. TruIndie is a monthly subscription service created to (1. support filmmakers by providing an uncensored platform for them to show their work. And (2. To help audiences discover and appreciate truly independent cinema. 2. Is it safe to submit my work to TruIndie? TruIndie will never misuse information or assets. Including: Sharing your information with third parties, uploading programs to other platforms besides TruIndie, selling programs in any way aside from giving access to paid members of TruIndie. (Please feel free to ask about any concerns you have on this matter). 3. Do I still own the rights to my work if I put it on TruIndie? Heck Yeah! We are NON-EXCLUSIVE, and do not own your work. Filmmakers are welcome and encouraged to show their work on other platforms...we want nothing but the best for you and your dreams. 4. Does TruIndie require filmmakers to censor their work? Never! We wouldn't dream of it. However, if your film contains excessively graphic content, we just ask that you put a warning on your thumbnail artwork. 5. What type of programs does TruIndie show on their platform? We show short films, feature films, music videos, etc of ALL genres. 6. How are filmmakers compensated? TrueIndie promises to remain competitive with other similar subscriptions when it comes to filmmaker compensation. We will set aside half of our subscription revenue, then based on total number of minutes watched throughout the entire site, we will determine pay-out per minute. * Filmmakers will be paid quarterly per minute their program is watched. *Pay-out per minute will fluctuate depending on the amount of minutes watched throughout the entire site per quarter. 7. How does TruIndie choose their content? We watch every film submitted. If both parties (Filmaker & TruIndie) decide to move forward, we will send over an agreement for you to go over and sign. 8. How do I submit my work to TruIndie? HEAD ON OVER TO THE OFFICIAL WEB PAGE AND SUBMIT YOUR WORK AT THE BOTTOM. GOOD LUCK TO EVERYONE, WE CANT WAIT TO SEE YOUR WORK! TruIndie couldn't have a better maestro. Heidi Moore is heavily involved in the independent scene, working with and emboldening countless artists to ensure a healthy environment for independent artists to thrive in. This new VOD initiative only makes perfect sense.